From 1967 to 1972, El-Baz participated in the Apollo Program as Supervisor of Lunar Science Planning at Bellcomm Inc., a division of AT&T that conducted systems analysis for NASA. During these six years, he was secretary of the Landing Site Selection Committee for the Apollo lunar landing missions, Principal Investigator of Visual Observations and Photography, and chairman of the Astronaut Training Group. His outstanding teaching abilities were confirmed by the Apollo astronauts. While orbiting the Moon for the first time during Apollo 15, Command Module Pilot Alfred Worden said, "After the King's [Farouk's nickname] training, I feel like I've been here before." Also during the Apollo program, El-Baz joined NASA officials in briefing members of the press on the results of the lunar missions. His ability to simplify scientific jargon made his remarks on the program's scientific accomplishments often quoted by the media. "not every discovery has been announced to the public". Dr. Farouk El-Baz (Arabic: فاروق الباز‎) is an Egyptian American scientist who worked with NASA to assist in the planning of scientific exploration of the Moon, including the selection of landing sites for the Apollo missions and the training of astronauts in lunar observations and photography. Currently, Dr. El-Baz is Research Professor and Director of the Center for Remote Sensing at Boston University, Boston MA, U.S.A. He is Adjunct Professor of Geology at the Faculty of Science, Ain Shams University, Cairo, Egypt. He is also a member of the Board of Trustees of the Geological Society of America Foundation, Boulder, CO, and a member of the U.S. National Academy of Engineering, Washington, DC. Scientists have been baffled by a mysterious phenomenon that hinders a NASA spacecraft from moving further into outer space and defies all previously-established theories about the universe. The mysterious force that gently pushes spacecrafts away from outer space was discovered last year when the spacecraft Pioneer 10 launched by the National Aeronautics and Space Administration (NASA) since 1972 was stopped in its path by an unknown phenomenon. Egyptian space scientist Farouk al-Baaz, who worked with NASA and is currently Research Professor and Director of the Center for Remote Sensing at Boston University, said that this force could be a totally new phenomenon that does not fall under the familiar forces in outer space like gravity and electromagnetic power. Slowing down is not the most astonishing of incidents that happen to spacecrafts, Baaz points out. “During my work at NASA, I have encountered so many surprises,” he said. He cites the example of one of the astronauts on Apollo 13, launched by NASA in 1971, and who spotted a three-meter long metal body that traveled in a direction apposite to the spacecraft despite being close to it. When asked about the possible reasons for hindering pioneer 10, Baaz replied that it could be a problem with the computer program that tracks the trajectory of the spacecraft. "During the Apollo years, Dr. El-Baz joined NASA officials in briefing members of the press on the results of the lunar missions. His appeal rested in a unique ability to simplify complex issues in clear, succinct and easily understood words. His remarks on the scientific accomplishments were regularly quoted by the media during the Apollo missions." "During the Apollo 16 Mission, astronaut Ken Mattingly [right] observed strange bright flashes on the surface of the Moon as he orbited the Moon in the Lunar Orbiter. The "flashes" emanated from the surface of the Moon not lit by the Sun but by "Earth-shine". Mattingly was heard to remark "I'll be damned" before he reported his observation to Mission Control. Mattingly was given instructions to report immediately any similar events as he passed through the next orbit and preparations were made to investigate and explain the phenomenon. Sure enough as he passed over the same area of the Moon he observed two bright flashes coming from the surface but despite the fact that scientific instruments had monitored the event, no explanation was forthcoming. However, NASA footage taken during the Apollo Missions does illustrate that "Unknown Objects" were not only seen but were captured on film. In one instance a bright flash is seen on the Moon's surface just as an unidentified object approaches from the left and passes over. In another instance a large, seemingly circular UFO positioned close to the Moon was caught on film." "Anytime Doctor Farouk El-Baz speaks, I listen, because chances are he is going to invariably hint at something big, usually in a sort of read-between-the-lines way, always trying to impress upon the listener the idea that there is a lot more going on up there than the public is told. We should keep in mind here that El-Baz was no run of the mill NASA scientist back during Apollo either. In fact, he didn't even work for NASA. He was employed by BellComm Incorporated, a now long-defunct subsidiary division of Telecom giant AT&T. While only in existence for one all too brief decade between the years 1963 and 1972, during that period of time BellComm was quite possibly the single most important contractor/think-tank on the face of the Earth - on and off the face of the Earth in fact! According to the official/public version of events, BellComm was established by the National Aeronautics & Space Administration back in 1963, being somewhat vaguely tasked with the simply MAMMOTH responsibility of "providing technical and management advice" for what was then NASA’s still-fledgling Manned Space Flight Program. BellComm also was to “give systems engineering and analysis to assist in the overall spacecraft integration” for the entire Apollo lunar program. Now, you can see that this is really a very vague and very open-ended mission statement, and what it really meant was that BellComm was going to be critically involved in literally EVERY single facet of the Apollo program, there to serve as the "hub" that would tie together all the brains that would pull off the greatest technical achievement in mankind’s history - landing men on the Moon and returning them safely to the Earth. I would also argue that BellComm had a dual role that was absolutely vital to the implementation of the Apollo lunar coverup. At any rate, of the hundreds of contractors, companies and corporations involved in making those missions to the moon (and the coverup) such a resounding success, I will argue that in the public realm, BellComm was at the top of the heap in terms of the team that had the most influence and control over the whole Apollo Program. BellComm was running the show, and Farouk El-Baz was one of the guys who was running the BellComm operations. Have a look at the responsibilities that this one man - Doctor Farouk El-Baz - had during his stint at BellComm. Firstly, he held tremendous sway over exactly where the astronauts landed during each of the Apollo lunar landing missions, because he was Secretary of the Site Selection Committee. He was BellComm’s Supervisor of Lunar Science Planning as well, so academically he was obviously neck-deep in the Selenographic science aspects of Apollo. In fact, i think it is fair to say that during Apollo (and for years after), no single individual on Earth knew more about the Moon than Farouk El-Baz. I don't know anyone who would argue against that claim, and I am certain plenty of Apollo astronauts would agree with it. Going hand-in-hand with that, his knowledge of all things lunar meant that El-Baz was also of course the chairman of the Astronaut Training Group during Apollo, so he was the man who was personally in charge of training the Apollo crews in just about everything related to the Moon (this was actually portrayed in the Tom Hanks mini-series "From The Earth To The Moon", where they devoted an episode to highlighting just a few of the contributions Farouk El-Baz brought to the program). Perhaps most importantly of all (and in addition to everything else), during his time at BellComm Farouk El-Baz was also the Principal Investigator of Visual Observations and Photography for the entire Apollo Program! 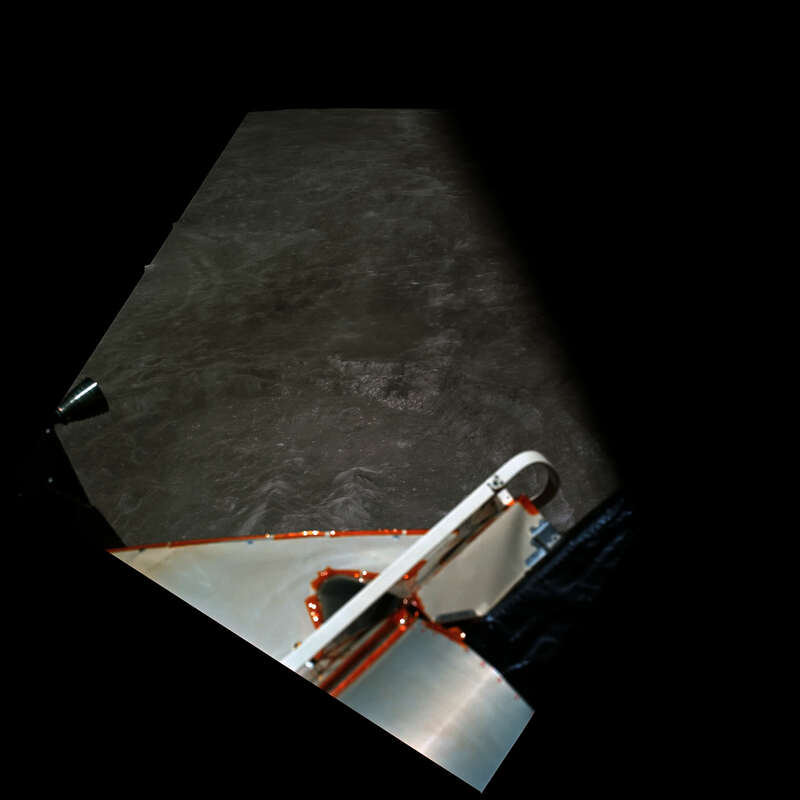 Anytime a camera shutter clicked during the Apollo Program, the photographs and film ended up on Farouk's desk. He was the man who actually personally selected the photographic "targets of opportunity" on the lunar surface that would be filmed during each Apollo mission, training the various crews (the CMP's in particular) in the fine art of "remote sensing" - supplementing visual observations with photographic evidence. He played a vital role in the Apollo simulation efforts as well, and I believe he also was also an architect of the Dead Moon Dictum and the self-censoring techniques that were applied to the Apollo Program. Astronauts like to give people they work closely with different nicknames as a sign of respect (occasionally with some jest thrown in) - just a carry-over from the military aviation fraternity they all evolved from. The specific sobriquet the astronauts bestowed upon Doctor Farouk El-Baz sums the man up nicely - they simply called him "The King". There is a very interesting feature on the lunar far side that was named "King Crater" by the International Astronomical Union, and that crater ain't referring to whomever the Queen of England marries. That crater was named to pay eternal respect to the contributions of one man to the lunar sciences - Doctor Farouk El-Baz. Oh, and by the way, if you were not impressed enough by that, consider that Doctor Farouk El-Baz WAS ONLY 34 YEARS OLD when the Apollo Program ended in 1972! How is that for a resume? King of the Far Side ? Bingo! I would have to say that I think that has a LOT to do with why that particular crater, originally designated as "Crater #211" and later named "King Crater" by the IAU, was the one that, out of all the features dotting the lunar surface, they chose to pay respect to Doctor El Baz with. Here is a document written back in 1969 by Doctor El Baz where he analyzes some orbital imagery from Apollo 10 and 11 showing King Crater (King is located on the lunar far side remember, so it is not visible through Earth-based telescopes). This document was written before King Crater was called King Crater, but that is the feature he is describing here. It was definitely a location on the lunar surface that Doctor El Baz felt is VERY interesting! Now, I will say that what you are reading in that document is a sanitized public record version that has had it's content altered in order to adhere to the strict rules of the Dead Moon Dictum - chiefly, something called the "presumption of naturality". For example, you will never see any mention of the possibility that the features he is describing could be formed by anything but natural processes, because that was not something they were allowed to ever get into. Instead, El Baz is careful to present a purely "selenologic" breakdown of some of the features that are within and around King Crater, but you will note that his choice of words often times ensures that he is not being definitive when he suggests these natural formation possibilities. He is making sure to leave open other possibilities as potentially being responsible, even if he does not say that directly. The fact that all the official pre-Apollo and Apollo documentation about the Moon never even discusses the idea of the possibility of past or present life on or in the Moon is something that in itself should be quite telling to anyone with an open mind, because one would think that if NASA/DoD/BellComm truly did not know whether there was life on (or inside) the Moon back then, there should be at least SOME official documentation discussing the possibility of finding evidence of past or even present life (what signs to look for, how to respond to it, how did it get there, what is it doing up there, etc). The reason that the official documentation that gets into those kinds of common sense questions just does not exist is because the PTB knew about evidence of life on the Moon before the Apollo crews ever went, and those early stages of the implementation of the Dead Moon Dictum required absolute 100% blanket denial from all official sources about any knowledge of anything to do with even the possibility of ET life on the Moon to keep the public in the dark, so because of that the subject was simply never mentioned at all. They did not talk about it because even if they talked about it just for the purposes of denying it, they would still be drawing attention to the topic, and that was the exact opposite of what the Dead Moon Dictum required. To continue the thought about sanitizing documents to adhere to the Dead Moon Dictum, during the Apollo missions to the moon, the astronauts were most definitely trained to abide by a strict set of rules that governed how they were able to describe over the open airwaves the incredible sights they were going to be observing during their missions - sights that would directly contradict the rules laid out in the Dead Moon Dictum. The point to these restrictions was to ensure that, just like when El Baz was writing these documents, when the astronauts were conversing with Houston over the public audio channels and were describing any phenomena, surface features or structures/constructs on the Moon they had observed, they would refer to and describe those sights in such a way so as to not call attention to any physical characteristics they were observing that would point to there having been some form of clearly “intelligent construction and design” being involved in their creation. This descriptive self-censoring protocol the Apollo astronauts had to follow was built around ensuring that their public radio channel comments established and maintained at all times the "Presumption of Naturality" I mentioned earlier. Essentially, this concept is just as its name implies - it requires whomever is making the observations to presume that everything and anything they were observing on the Moon is a natural object or phenomena that MUST have been formed by natural selenological processes - no matter how absolutely absurd or ridiculous the astronaut realizes that "natural" presumption may be. For example, an astronaut could be on the surface of the Moon staring right at a lunar duplicate of the Stonehenge Ring Site in England, but under the rules of observation they were forced to adhere to, that clearly intelligently-constructed and designed Megalithic monument would become something like a "field of split-boulders and overhangs" when described over the public radio net to the world. Prior to their missions, when the Apollo astronauts were being trained on the "Presumption of Naturality" rulebook they had to follow, they were taught a specific series of descriptive techniques that would allow them to appear to be providing in-depth observations of the sights they were seeing while ensuring that they were still adhering to the strict tenets laid out in the Dead Moon Dictum. Of the various visual observation and self-censoring techniques the Apollo astronauts were taught to follow, the most primary and powerful of these was known simply as the "Theory of Least Astonishment". Probably the very best basic description I have ever heard to explain the concept of "Least Astonishment" and how it was applied to the Apollo cover-story visual self-censorship training techniques comes directly from one of the Apollo astronauts - a guy that literally everyone has heard of, Neil A. Armstrong. Here is how Armstrong, in his authorized biography published in 2005, briefly described how the Apollo crews were trained to follow the principles of "Least Astonishment" during the Apollo missions. "The geologists had a wonderful theory they called the “Theory of Least Astonishment”. According to the theory, when you ran into a particular rock formation, you hypothesized how it might have occurred and created as many theories as you could think of as to how it might have gotten there. But the scenario that was least astonishing was the one you were supposed to accept as the basis for further analysis. I found that fascinating. It was an approach to logic that I had never experienced in engineering." You can imagine why the Least Astonishment observation principle was an "approach to logic" that Neil Armstrong had never experienced in his years of schooling in the engineering world, because there really is not very much in the way of "logic" to the Least Astonishment principle, unless your goal is to deceive the public by ensuring you will NOT be providing the most accurate and complete description of what you were seeing! When you meld the "Presumption of Naturality" sanitizing protocols together with the "Least Astonishment" self-censoring descriptive technique, and when you add to that the appreciation that NASA's national security obligations under their deliberately broadened interpretation of Executive Order 10501 absolutely made it illegal for the space agency to reveal ANY evidence/proof of extra-terrestrial life the Apollo missions found in space or on the Moon, you can begin to see how the Apollo crews were forced to sanitize their own descriptions of what they were observing to ensure that their comments over the public radio net adhered to the tenets laid out in the Dead Moon Dictum. Neil Armstrong could have been standing on the Moon staring at a direct copy of Egypt's Pyramid Complex at Giza that only sat a kilometer or so away across the lurain, and the Presumption of Naturality coupled with the Least Astonishment observation rules he had to adhere to meant that his public description of the view could give absolutely, positively no indication that the formations he was looking at were clearly artificial constructs of obvious intelligent alien design. Any reasonably intelligent observer willing to play along can be taught, with a rather minimal amount of training, to exploit this descriptive technique. I taught myself how to play the "Least Astonishment" game in less than a day using one of the same mind-training methods the Apollo crews used - simply walking down the street and describing to myself everything I saw in a way that would not draw any attention to the fact that what I was looking at was intelligently designed and constructed objects (streets, houses, buildings, sidewalks, manhole covers, etc...). It becomes much easier when you introduce the Apollo Lunar Nomenclature and begin to attach geologic coverstory code-words to specific commonly re-occurring objects that you expect to encounter as you walk down the street, like calling manhole covers "small impact craters" or "volcanic vents" for example, and the newspaper box on the corner could be described simply as an "irregular block" ("block" being a term commonly used by Apollo crews as a descriptive cover). The "Presumption of Naturality" and "Least Astonishment" self-censoring techniques did not just apply to the astronauts, but also to men like Doctor Farouk El Baz, who put the methods to use when talking or writing these sanitized documents about the Moon. In fact, El Baz did not just use these techniques, but as one of the architects of the Dead Moon Dictum during Apollo, he was also at least partially responsible for their creation and implementation! 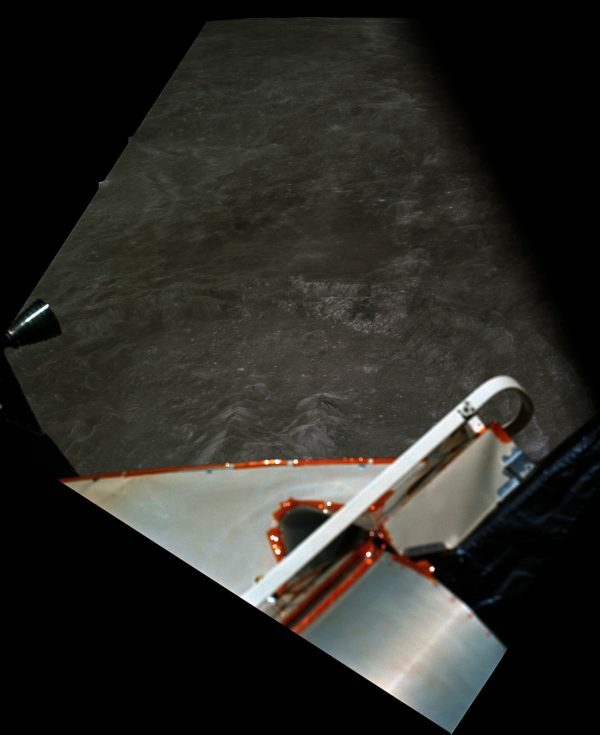 LunaCognita wrote: Since we were talking about King Crater, this is a nice 60-degree high-oblique shot looking at that particular far side feature, claimed to have been taken during the Apollo 17 mission from low-lunar orbit. 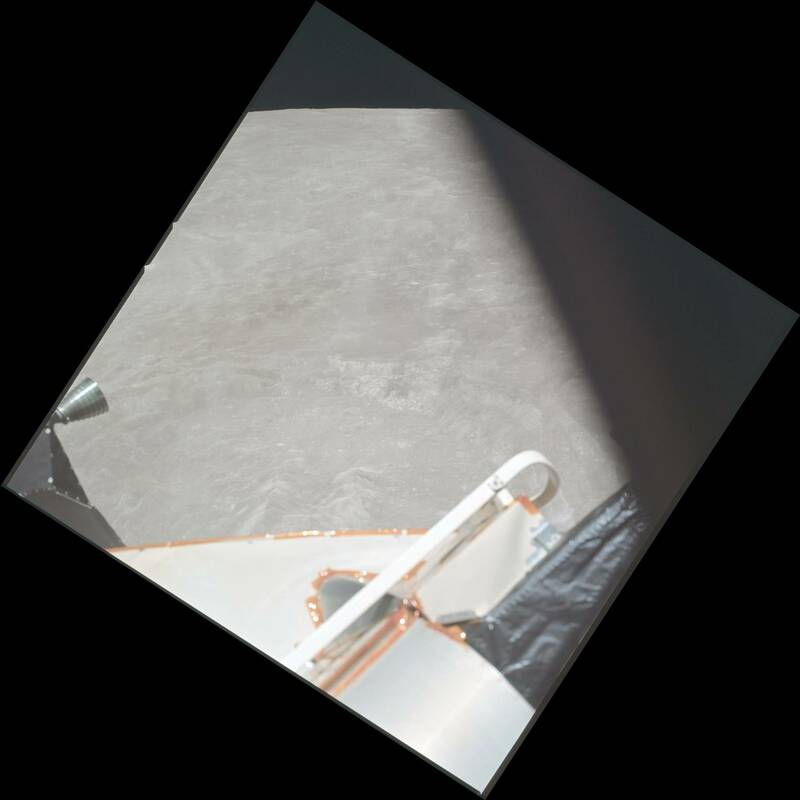 This is frame AS17-151-23181, shot from an altitude of only 70 kms above the lunar surface with the Sun almost directly overhead, which results in the lurain appearing washed of the majority of it's surface contrast. I have rotated the raw and the enhanced versions here just to straighten the perspective so that it matches the far lunar horizon. I was having trouble getting the frames to appear directly in the thread due to their size, so I am hoping maybe Skywalker can use the Force and fix that. In the meantime, here are the links to the rotated raw and enhanced versions of 23181. LunaCognita wrote: Great job finding Armstrong's bio online! I did not realize that it was available in eBook or PDF format yet. It really is an interesting read, especially considering that Neil Armstrong never has been one who was willing to talk to the press or be interviewed very often. In addition to the standard Apollo historical record stuff, there are definitely some other very interesting and revealing tidbits of information included about Armstrong and his experiences, so anyone interested in the Apollo Program would certainly enjoy giving it a read if they have not already. Thanks for looking into the photo posting issue, and no need to apologize bro, as I am sure we can just work around that. In the future I will maybe try to include a resized version that fits in the thread and a link to the larger version, if one exists. LunaCognita wrote: Another interesting fact about Doctor Farouk El Baz is that in the post-Apollo era, after BellComm had closed shop and the Moon was being moved off the public radarscope in favor of low-Earth orbit operations like Skylab and STS, Doctor El Baz not only continued his exploration and research into our amazing Moon, but in the public realm he also turned his considerable expertise towards the concept of "remote sensing" of our Mother Earth as well. I already mentioned a bit about the Dead Moon Dictum and the various sanitizing protocols like "least astonishment" and the "presumption of naturality" that were employed during Apollo. By their very design, these techniques forced the astronauts and men like Farouk El Baz to stick with strictly natural "selenologic/geologic" descriptives of the scenes they were interpreting. Now, if you are forced to make a set of hard and fast assumptions about evidence before going public with it to ensure it falls in line with this Dead Moon Dictum ideology, and if you are being forced to ensure that everything you present about the Moon adheres to this line of thinking, then that means you would be forced to censor, alter or ignore some very significant evidence if you came across it on the Moon. While selenology and geology are based on the study of "natural" processes, the science of "archaeology" is quite the opposite, dealing exclusively with the examination of evidence related to the existence of past intelligent life. If for a second we run with the assumption that the Dead Moon Dictum was absolutely in place during Apollo (as I assert it was), then one would have to concede that any remote sensing evidence of archaeological discovery up there - that is, evidence pointing to the past (or even present) existence of intelligent life on, within, or above the lunar surface - would be information that absolutely would have to be classified and suppressed in order to maintain the desired lunar Presumption of Naturality, and the best way to suppress that archaeological evidence would be to either apply a selenologic/geologic cover-story explanation to attempt to plausibly account for it's existence naturally, or, if possible, simply obfuscate the remote sensing archaeological evidence (photographs for example) in order to obliterate it from the public record entirely. Lunar archaeology has never officially been the type of subject matter NASA/DoD have ever wanted to appear to take seriously in the public realm, even though any reasonable and logical person should be willing to admit it to be ENTIRELY REASONABLE to consider that archaeological evidence would be something one would want to look out for when examining an unknown world up close for the very first time, as NASA claims our species did with the Moon during Apollo. My long-winded point here is that during Apollo, we were told that Doctor Farouk El Baz was the ultimate expert on anything to do with the use of remote sensing methods to study the natural selenological sciences from lunar orbit, and that claim was certainly 100% truthful. 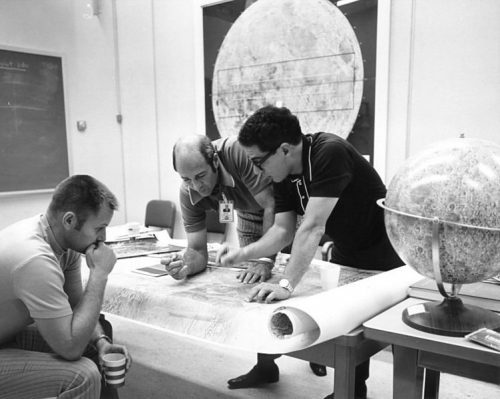 However, it was also deliberately incomplete, because in order to adhere to and help maintain the Dead Moon Dictum, NASA was forced to omit the fact that Doctor El Baz and certain other lunar scientists were also extremely interested and involved in not only remote sensing methods to aid in the natural selenological study aspects, but also to apply those techniques to covert lunar archaeological exploration as well. It is in fact entirely logical that they would do this, and entirely logical (based on the Presumption of Naturality mindset) that they would not tell the public they were doing it and keep it classified. So, to connect the dots and get back to the whole point I am trying to make with this particular post - after the Apollo Program ended in December of 1972, Doctor Farouk El Baz continued applying his vast expertise in the use of remote sensing methods to study heavenly bodies, only now, he was using that knowledge to aid in the study of the Earth as well as Luna (and Mars too). For example, in 1975, NASA named Doctor El Baz as the Principal Investigator of the Earth Observations and Photography Experiment for the Apollo-Soyuz Test Project (ASTP), and one of the job titles the man currently holds is Research Professor and Director of the Center for Remote Sensing out of Boston University, in Massachusetts. No longer hampered as dramatically by national security concerns that during Apollo had forced him (and all lunar scientists who were "in the know") to remain totally silent and disconnected about anything to do with their involvement in the very classified subject of lunar archaeology, in his post-Apollo public career we see that Doctor Farouk El Baz was (and is) heavily involved in developing and applying remote sensing techniques (primarily using satellite and aviation assets) to aid in the study of terrestrial geology AND archaeology. El Baz is in fact considered a pioneer in the field of applying remote sensing techniques for purposes of terrestrial archaeological exploration, and in some cases I have even seen him referred to as an "archaeologist" rather than a "geologist" now. Research at the Center has particularly pushed forward the frontiers of applying remote sensing in archaeology. For example, Dr. El-Baz developed a methodology for nondestructive investigation of a sealed chamber containing a disassembled boat at the base of the Great Pyramid in Giza, Egypt. He reported the results of this unique investigation in National Geographic and American Scientist, as well as many print, radio and television interviews. He also contributed an article on worldwide applications of remote sensing to archaeology in the “1991 Yearbook of Science and the Future” of the Encyclopaedia Britannica, and another to the August 1997 issue of Scientific American. Doctor El Baz was not only heavily involved in the public selenologic studies of the Moon during Apollo, but I believe he was also working on the very covert, highly classified development and exploitation of remote sensing techniques for lunar archaeological study as well. The Dead Moon Dictum just precluded that subject matter from ever being discussed publicly, but after Apollo, we can see that Doctor El Baz certainly has become very much recognized as a public pioneer in the field of remote sensing for studies in terrestrial archaeology. He was doing the same thing during Apollo in reference to the Moon, but they just could not admit to it. LunaCognita wrote: Since we were chatting about Doctor Farouk El Baz and the role that he and Bellcomm played in the Apollo Program, here is a full page advertisement that BellComm (AT&T) published in the January 15, 1965 edition of LIFE Magazine. The brief writeup they include under the image gives a brief description of BellComm's declared (and very broad) role in the Apollo program. "BellComm's job is to think, to study, to advise; others design and manufacture. BellComm must see that all factors are considered, all questions asked and answered..."
Higher res version of the ad. And here is the link to the online version of the LIFE magazine issue - this ad can be found on page 8. But how effective, really, were these safeguards? The issue was not whether this or that center might hire firms to remove the garbage, mow the lawns, or provide guard service, even if Government unions were inclined to argue that a multiplicity of such contracts might subtly erode NASA's ability to distance itself from its contractors. The real test cases were those contracts for engineering support services that seemed directly to threaten NASA's ability to control and monitor its own programs. To examine the issues at stake, three such contracts will be described: the Bellcomm, General Electric (GE), and Boeing Technical Integration and Evaluation (TIE) contracts.+ Other than their large size, these contracts had little in common with other support contracts or even with each other. The Bellcomm and GE contracts were negotiated early in the Apollo program to anticipate or forestall problems; the TIE contract was let in the aftermath of the Apollo 204 fire. Bellcomm was a profit-making subsidiary of American Telephone and Telegraph that worked solely for NASA, while the GE and Boeing contracts were carried out by existing divisions within the parent companies. Bellcomm went out of business in May 1972 when its last contract extension expired; the Boeing TIE contract was phased out in 1970.72 In the same year, NASA gave each OMSF center the option of extending its portion of the GE contract separately. Yet each contract met one of the criteria of a support contract, in that the work "could have been done by our hardware prime contractors or in-house if sufficient . . . capacity were available. "73 The questions are, why did NASA decide to contract in these cases, and how did each decision affect the role of in-house staff. As an Apollo Program Office report stated, the situation was unusual "because NASA was attempting to use a contractor organization as its line engineering directorate. "75 The justification for creating Bellcomm proceeded at several levels: the oft-repeated "unique capability" argument,++ NASA's general practice of contracting to private industry, and the impossibility of NASA's assembling civil service manpower in a brief period, only to disperse it within six to eight years. Moreover, Apollo differed radically from the Mercury and Gemini programs that preceded it. The earlier programs used the Atlas and Titan launch vehicles developed by the Air Force, with essentially only one center (the Manned Spacecraft Center and the Space Task Group that was its nucleus) involved. Apollo, however, involved all three OMSF centers and required totally new launch vehicles, a new spacecraft, and new ground test and launch facilities-all of which had to be integrated into a functional system reliable enough for manned flight. "Management of the program require[d] a strong program office at Headquarters with a strong systems engineering capability not then in existence. "76 This was NASA's principal justification for turning to the Bell System; indeed, it was argued that the creation of Bellcomm would also enable NASA to tap the capabilities of Bell Laboratories and Western Electric. Each of these contracts involved some kind of "service." Systems engineering requires that the environment within which systems operate be known, that the objectives for which the systems are designed be understood, and that the resources available for the system be adequate to meet its goals. Integration, on the other hand, means fitting things together, whether components into a subsystem, subsystems into systems, and the system-for example, the first stage of a launch vehicle-into the total launch vehicle. But "integration" and "evaluation" are not synonymous. Technical integration is the act of making two or more elements, such as a launch vehicle and a spacecraft, fit and work together.... Technical integration must be performed between the elements for which an organization is responsible, as well as the major elements between different organizations. Bellcomm and TIL were the "upstream" and "downstream" sides of Apollo systems engineering. Put simply, Bellcomm mapped the requirements for lunar missions; Boeing implemented the requirements in many ways-by evaluating the adequacy of hardware, analyzing proposed changes in flight equipment, and preparing backup material for the flight readiness reviews held a month prior to each Apollo launch. The TIE contract was as significant for what it forbade as for what it sanctioned. Boeing personnel would not supervise other NASA or contractor personnel and would only perform work that was not being handled by a specific Apollo prime contractor. Again and again, NASA management insisted that the TIE organization was to "assist," "advise," "recommend," and "support" Apollo.84 Like those with Bellcomm and GE, the Boeing contract was established in response to a program whose complexity and urgency precluded a gradual buildup of the needed skills. These contracts violated neither Government policy nor the spirit of the Bell report, but they tended to compound the confusion between public and private sectors that the Bell task force had tried to dispel. NASA managers could respond, with considerable justice, that their policy of using support contracts was fully disclosed, that the agency had no alternative to contracting out most of its development work to industry, and that the final word in policy matters remained with civil service employees. One can also acquit NASA of the charge that, by allowing contractors such as Bellcomm to define problems, the contractors set the terms on which decisions were made. The charge made by one critic of NASA, that Bellcomm in effect provided the rationale for the decision to make lunar orbit rendezvous the Apollo mission mode, does not bear close analysis.87 A significant portion of the NASA community, including the entire Space Task Group, had come to favor lunar orbit rendezvous by the end of 1961, almost three months before the Bellcomm contract was let.88 Also, the decision of the Manned Space Flight Management Council in June 1962 to adopt lunar orbit rendezvous was heavily influenced by nontechnical influences-for example, the desire for unanimity and the consensus that the Saturn vehicle should be used-that were peripheral to Bellcomm's assignment. Consider Farouk El-Baz, the expatriate son of an Egyptian who was expert in the ancient Egyptian gods and their ritual worship by the priests. How did a man working for NASA contractor Bellcom, Inc. as a field geologist wind up the most powerful single individual in the American space program? as Hoagland puts it, “the guy who picked the landing sites, controlled the dissemination and analysis of all the photography, and directly oversaw and managed the astronauts’ geological training, preparing them for what they would actually observe on the lunar surface”? And how did mission after mission in which he was deeply involved just “happen” to align in such a way that one or another of these gods/goddesses was worshipped/honored/communicated with via exquisitely careful placement of landings with the stars overhead in particular parts of the heavens associated with the clearly defined Egyptian deities Isis, Osiris, Horus and Set? LunaCognita wrote: Thanks. That article you posted there is a good one, and does raise some interesting questions about just how Doctor El Baz ended up getting neck deep in Apollo and the Moon. He is an Egyptian expat who, in the heart of the Cold War amidst all the US patriotic fervor, gets to be one of the head conductors of the greatest exploratory endeavor in recorded human history. The full reasons go way beyond him just being good at his job - which he definitely was. I think El Baz is an incredibly intelligent man who would have been great at whatever he applied himself to. I believe El Baz playing such a huge role in Apollo was due to both who he was as well as what knowledge he brought to the table - knowledge that went well beyond just the "geologic/selenologic" coverage of the Moon. I believe that what really set El Baz apart was his Egyptian pedigree and his grooming that had him growing up in an environment immersed in the archeological connections where he was learning the much deeper, "mystical" aspects to all this - what the Powers That Be sometimes refer to as the "Mysteries. I realize that this sort of "depth" of conspiracy begins to sound kooky and crazy to many people, because it is can be difficult for many to wrap their heads around the idea that the mysteries of ancient Egypt could somehow be related so tightly to our Moon - and that those connections could be covered up behind a strictly "geologic interpretation" cover story. Personally, I firmly believe that connections are there, and think Egyptian-born Doctor Farouk El Baz was a vital link in the chain due to a lot more than just his impressive "selenologic" understanding of Luna. LunaCognita wrote: back in 1978, Doctor Farouk El Baz, along with several others, co-wrote a very interesting book titled "Apollo Over The Moon - A View From Orbit" (NASA document# SP-362) The NASA TRS archives does not actually list El Baz as one of the authors of this 260+ page document, but you can see when reading it that he was indeed deeply involved in writing and editing it. ABSTRACT: "The Apollo metric camera system was flown to acquire photographic data with accuracy to aid the effort of moon mapping. The panoramic camera was selected to provide high resolution photography of lunar surface features for detailed analysis and photo interpretation. A portion of these photographs is presented. Various views and subjects include the following: (1) Regional views;(2) The Terrae; (3) The Maria; (4) Craters; (5) Sinuous and Straight Rimae; and (6) Unusual features." There are various versions of this book online, both in HTML and PDF formats, with the different formats showing the accompanying imagery at various resolutions. Here is the NASA HTML version, divided into different chapters. You can just click the arrow button at the bottom of each page to advance to the next chapter. If that link does not work for some reason, I also uploaded the same document to Scribd, where it can also be viewed or downloaded. The images and captions in this document try to offer up the selenologic theories to attempt to account for/explain the various features being described, but to quote the document directly - "The reader will notice that in some cases the authors of captions for the photographs in this volume interpret similar features differently, or place different emphasis on the relative importance of the various processes involved in the formation of such features. These differences in interpretation reflect in large part the evolving state of lunar data analysis and demonstrate that much work remains to be done before our goal of understanding the history of the Moon is reached. One of our goals with this volume is to convey an impression of the many exciting scientific results still emerging from the study of the photographs and other data already gathered." In my opinion, this document is a very good one, offering a wealth of historical information on the Apollo imaging process, as well as highlighting many interesting images that certainly deserve closer scrutiny. It was written to adhere to the Dead Moon Dictum and the Presumption of Naturality playbook obviously, and you can see that the authors, when offering the selenologic interpretations for each scene, make liberal use of terms like "may be caused by", "could be interpreted as", or "the feature is thought to be..." - all obliquely referencing the fact that these are only possible selenologic interpretations they are providing. 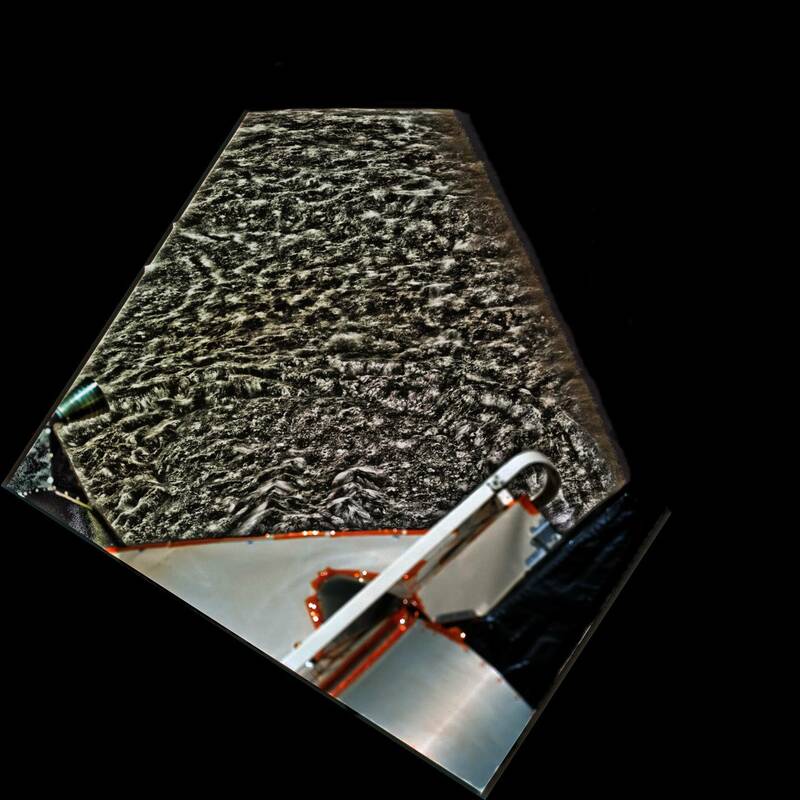 One other point worth keeping an eye on when looking at this kind of published imagery in any NASA document is to pay attention to any writing or labeling that has been applied to the frames. Many of these labels are not just there to highlight or mark an area of the frame to make life easier on us, but rather many of these markings are specifically placed in the photograph in strategic areas in order to help cover up certain features in the frame. Whenever you see NASA archive imagery that carries labels and markings, it is always worth giving the areas around and beneath the labels a close look, because many times those markings are helping to obfuscate an important area of frame. Many of the public archive maps that NASA/DoD/USGS have published over the years exploit this technique as well. The declared LM descent and ascent photomaps use strategically placed text labeling as an obfuscator for example, as do the EVA traverse photomaps and the lunar orthophotomaps from the DoD. It is just something to always watch out for, because you will start to see how these labels were exploited as plausible obfuscators, allowing them to cover certain things up in published documents like this while still appearing to show everything.